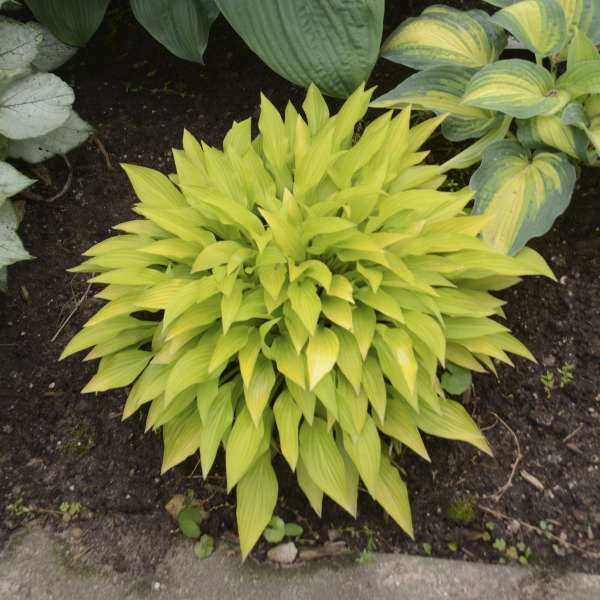 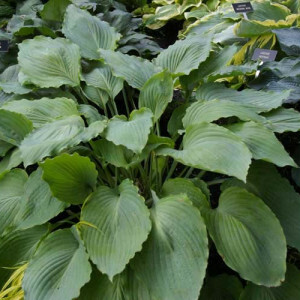 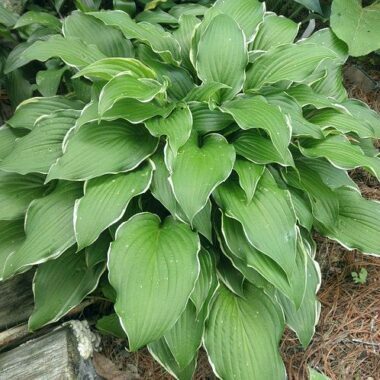 This vigorous yellow miniature hosta is the perfect size for troughs and fairy gardens. 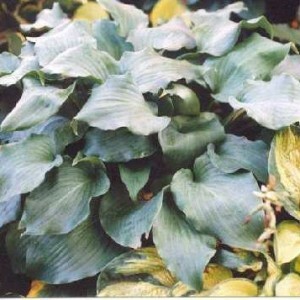 Short and narrow leaves hold their bright yellow colour all season long. 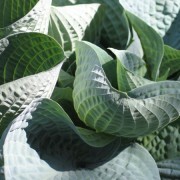 Since the leaves are so narrow there isn’t a prominent leaf base, and the leaves simply taper to become part of the petiole. 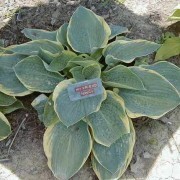 Lavender flowers appear above the petiole in mid-summer. 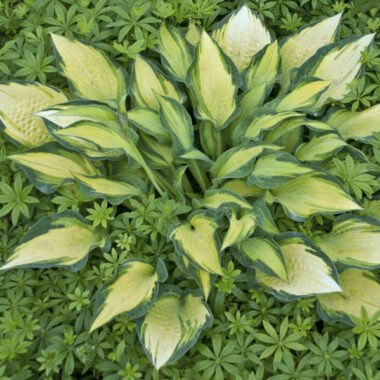 This vigorous yellow miniature hosta from Randy Goodwin, introduced by Walters Gardens, is the perfect size for troughs and fairy gardens. 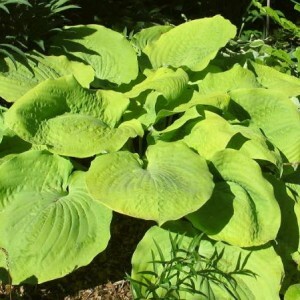 Short and narrow leaves hold their bright yellow colour all season long. 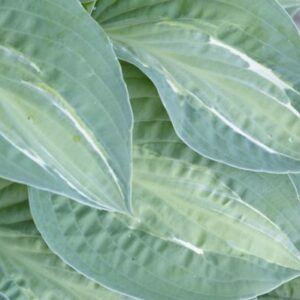 Since the leaves are so narrow there isn’t a prominent leaf base, and the leaves simply taper to become part of the petiole.